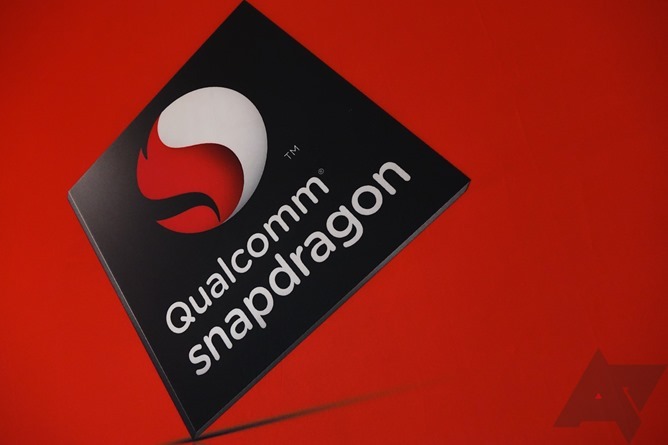 The march of chipset progress goes on: Qualcomm announced this morning that its new Snapdragon 835 chipset is on the way, utilizing Samsung's new 10 nanometer fabrication process, as well as the latest generation of its Quick Charge technology. Qualcomm did not share many details about its newest flagship processor, only claiming unspecified increases in speed, efficiency, and a reduction of physical space used by the chip (all at least partly a result of the switch from 14nm to 10nm). Qualcomm says Snapdragon 835 devices will be arriving on the market in the first half of 2017. Number of cores and other improvements were not disclosed - this appears to be a strictly preliminary announcement. Just last week, we featured a deal for the smaller 1.45" ZenWatch 2 with a metal band. 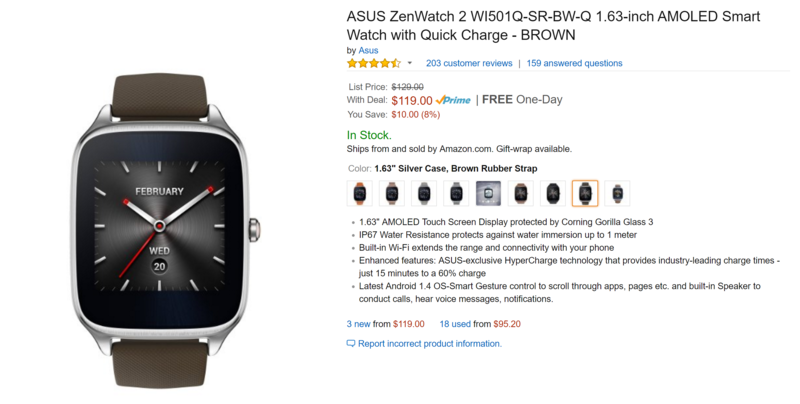 Now, we're back with another ASUS smartwatch offer; Amazon and B&H are both offering the 1.63" ZenWatch 2 with HyperCharge for just $119. Not only is this a larger, slightly newer model, but it's also $10 less than the deal from last week. For the last year, Googler Benson Leung has been waging a one-man war on bad USB accessories. Going forward, he'll have some help in the form of the USB Implementers Forum itself. The USB-IF has announced a certification program complete with a handy little logo. If you see that logo, you'll know the accessory in question is in compliance with the spec and won't break your gear. If you happen to be in the market for a new gadget to charge your phone, or perhaps every USB-powered device in your house, you're in luck. Tronsmart and Aukey, two of the more prominent accessory sellers on Amazon, are both offering discounts with coupon codes today. If you have a Quick Charge 2.0 compatible phone or tablet, you can pick up a three-port Tronsmart wall charger for just $10.50 with the coupon 3USBWALL. The double car charger version is also $10.50 with the coupon 2USBCHAR. Both are discounted by a little less than ten bucks. If two or three ports simply aren't enough for you, the Titan multi-port charger can send Quick Charge juice to five different gadgets simultaneously. Anker is running a pretty big campaign in celebration of their new Quick Charge 3.0 chargers with discounts on a ton of products and even smartphone giveaways. This isn't your typical deal alert: there are over a dozen different discounts for products across Amazon US and UK, with everything from chargers to battery packs to cables. The campaign is also running in Germany, and while there aren't any coupon codes for Amazon.de, the prices are comparable to the ones in the US and UK, so be sure to check the source link if you want to order something from inside continental Europe, too. 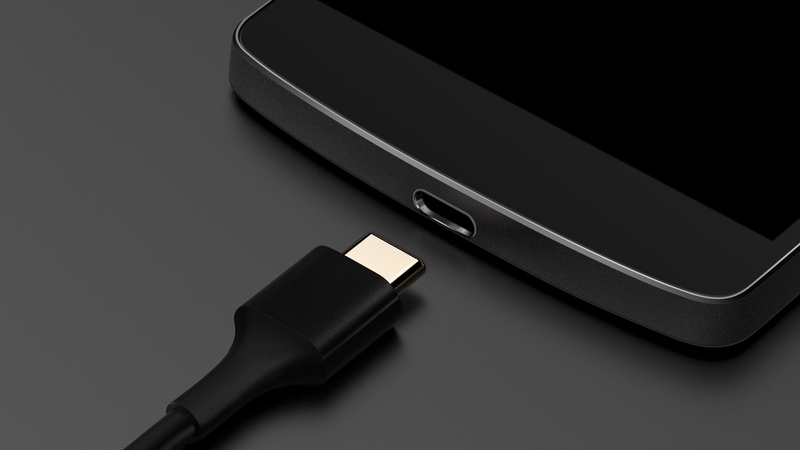 Do you like Qualcomm's Quick Charge? Are you impatiently waiting for all devices and accessories to be compatible with Quick Charge 3.0? Then OPPO is about to rain on your parade with its Super VOOC technology. And I mean really rain. 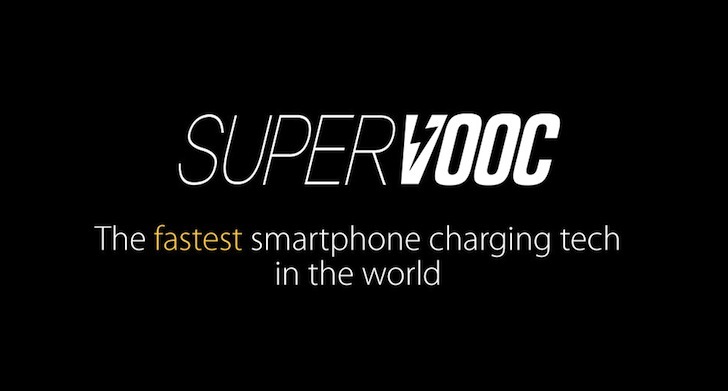 Announced and demoed at MWC, Super VOOC is the evolution of OPPO's VOOC (yeah, they like capitalizing things) fast charging technology. It uses a new low-voltage pulse-charge system, a new dynamic algorithm for current regulation, and a new customized battery. The charger, adapter, and cable connector have also been upgraded to use military-grade materials. The end result is a setup capable of fully charging a 2500mAh battery in an OPPO phone in 15 minutes. Now's your chance to get your hands on one of these beasts for a very reasonable price. 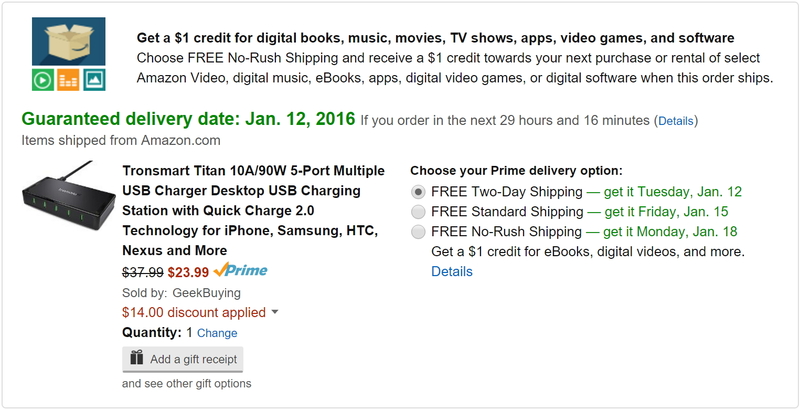 Using coupon code 5USBPORT at checkout on Amazon will drop the price by $14 to $23.99– that's less than five bucks a port and one heck of a good deal. Unlike some QC 2.0 multi-chargers that have one quick-charging port and four standard ones, this beast boasts five high-speed USB ports. A wise man once said, "If an empty wall outlet thy home doth possess, thou should fill it with a charger for thy personal electronics with great haste." I think it was Shakespeare, but I'm not entirely sure, so don't quote me on that. Well, regardless of who said it, the sentiment is true for many of us gadget lovers. I really don't think it's possible to have too many chargers. Today you can pick up a great one for just a few bucks. 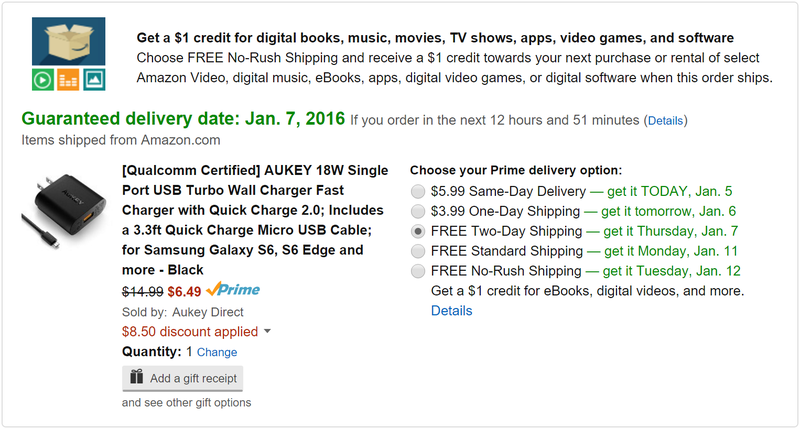 Aukey has their Quick Charge 2.0 single port wall charger on sale for just $6.50 after applying coupon code V4R8BK3J at checkout to knock off a substantial $8.50. If you drive a tiny car like I do, you know the struggle of a long car ride, two passengers, two phones, and only one power port. If you'd like to alleviate that frustration, head on over to Amazon. Today you can grab a Tronsmart car charger that has two ports for just $7.99 with a coupon. The charger is compatible with Quick Charge 2.0, and on both ports to boot. If that's not enough to convince you, they're throwing in two MicroUSB cables for free. To take advantage of that low price, add the Tronsmart charger to your cart, then check out and apply the coupon code "DUALPORT" to bring the price down from $19.99 to $7.99. Back in July, we went hands on with some Tronsmart Quick Charge 2.0 chargers, which turned out to provide some of the best value in third-party chargers on the market today. We also gave away 50 units back then, so several of you guys got to see what these chargers were all about for yourselves. 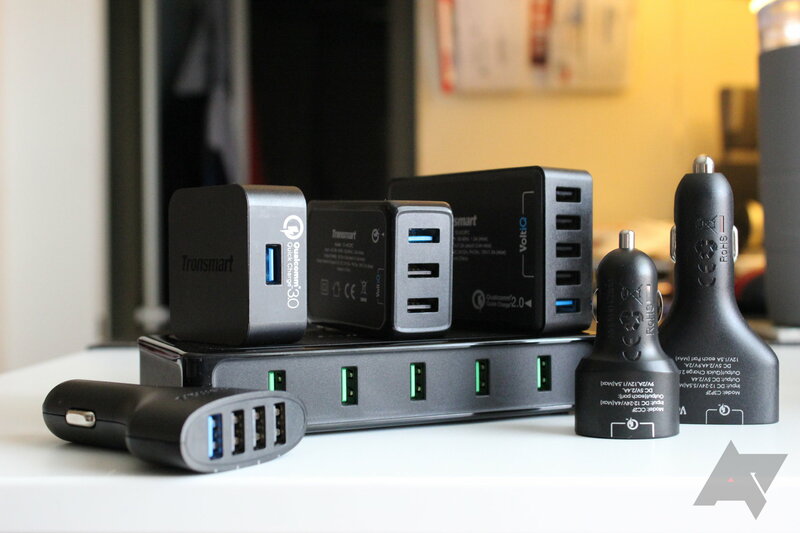 Since then, Tronsmart has released a couple of new products (and updated some of the others), including an absolutely beastly new 5-port desktop charger called the Titan. Now, we've seen 5-port chargers before, so that's not what makes Titan such a beast — it's the fact that all five ports offer Quick Charge 2.0 as well as VoltIQ technology.